Paul was born in 1943 in Napoleonville, Louisiana. He received a B.A. from Nicholls State and his J.D. from Loyola University in New Orleans, Louisiana in 1969. While at Loyola, he was elected President of the Law School. Upon graduation from law school, he practiced law with a small civil law firm for four years handling all types of civil and criminal cases. From 1974 to 1977, Paul was an Assistant District Attorney handling trials of serious felony cases. From 1977 to 1978, he was Chief Counsel for the Caddo Indigent Defender's Office. In 1978, Paul was elected District Attorney of Caddo Parish, Louisiana. After his first election, Paul was re-elected four (4) times and served as DA for a total of thirty years. As DA and as Chief Counsel for the Public Defender's Office he tried hundreds of major cases in the state district courts. Paul has served on numerous Governor's Commissions, including the Louisiana Commission on Law Enforcement and the State Sentencing Guidelines Commission. 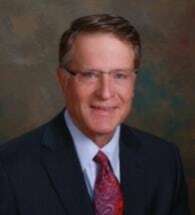 Paul has lectured on trial tactics and rules of evidence at legal seminars, and he was elected President of the Louisiana District Attorney's Association in 1984. Paul is married to Marti Carmouche. They have two children, a daughter, Marianna, and a son, Matthew. As DA for 30 Years and as Chief Counsel for the Public Defender's Office he tried hundreds of major cases in the state district courts.